Dr Pepper Dallas Cup XXXV official hashtag #DC35 | Dallas Cup, Inc. The official Dr Pepper Dallas Cup XXXV Hashtags is #DC35. Add the #DC35 #hashtags to all your social media posts and share your Dallas Cup experience with the world. Hashtags allows you to create communities of people interested in the same topic by making it easier for them to find and share. 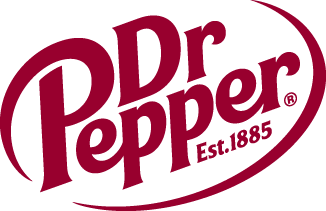 For the social media users at the Dallas Cup, the official Dr Pepper Dallas Cup Hashtags is #DC35. Add the Dallas Cup #hashtags to your social media posts and share your Dallas Cup experience with the world. The Dr Pepper Dallas Cup will provide Olympic size coverage. In 2009, the Dallas Cup was one of the first tournaments to use Twitter. The experiment opened access to fans from all parts of the world. In that summer, the Dallas Cup Facebook fanpage was launched for the purpose of fans and players to stay in touch and share their experiences. The fanpage is a place where the Dallas Cup keeps track of players and teams of past, present and future. Once again for this year’s tournament, the Dallas Cup will incorporate additional new media into our coverage. The Dallas Cup introduced Instagram and Vine in 2013 and for 2014, Dallas Cup Pinterest and Tumblr will come online. We look forward in continuing our pioneering spirit into social media. And if you are interested in joining the Dallas Cup Social Media Committee, please contact albert@dallascup.com .